I could be enjoying a restful retirement right now. However, there was no way I could turn my back on badgers knowing they continue to be illegally hunted and killed in the most violent of ways at the hands of bloodthirsty baiting gangs. So instead, I am honoured to be Naturewatch Foundation’s first ever Wildlife Crime Adviser. The first year in post has certainly been busy, successful, and a joy to work with such an efficient, productive and welcoming team. I’m a former Police Officer with 30 years’ service with the Metropolitan Police and Northumbria Police. Latterly as a Wildlife Crime Officer, I led several investigations concerning badger persecution, which culminated in me receiving the RSPCA Special Investigation Award in 2012. Since retiring, I have continued to work in the wildlife crime arena within the charity sector as an Investigation and Intelligence Officer, and now as Naturewatch Foundation’s Wildlife Crime Adviser. Wildlife crime has been part of my life for fifteen years. It truly gets under my skin and drives me forward in the fight to combat it. This especially applies to one of my favourite animals, the badger, and despite my experience, the constant and varied forms of illegal persecution against it never fails to shock me. During this past year, Naturewatch Foundation’s Badger Baiting Campaign has grown both in structure and recognition amongst our peer partners within the wildlife crime arena, resulting in a comment at the National Enforcers Conference that we are now known and recognised as one of the key players. Our influence and contribution has been achieved by being members of key groups such as the UK Badger Persecution Priority Delivery Group, where I sit as the secretariat, the Partnership for Action against Wildlife crime, the Wildlife and Countryside Link consortium of NGO’s and our contribution to their annual wildlife crime reports and, most recently, membership of the newly developed Cyber Enabled Wildlife Crime Priority Delivery Group. This last group sits nicely alongside our own covert investigations on named individuals connected to badger baiting. 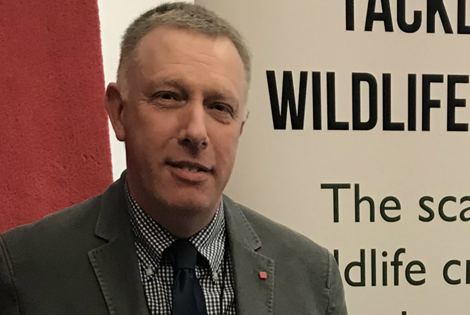 My experience as a former Police Wildlife Crime Officer and a Field Intelligence Officer with the League Against Cruel Sports, has helped to cement a professional and confidential approach to members of the public providing information about people they suspect are involved with badger crime. I have also been involved in setting up our Badger Baiting School Awareness Programme, which is being delivered to teenagers by the police or badger groups. In addition, I have facilitated an agreed annual donation by Naturewatch Foundation to the PAW Forensic Analysis Fund, which police can access to assist in the cost of forensic investigations on wildlife crime cases. For example, DNA testing of badger hair. With meetings, conferences, networking and presentations complete for 2018, it’s been very rewarding to see such progress in a relative short period of time, and provides an encouraging base to further develop our Badger Baiting Campaign in 2019. I sincerely hope that my policing and wildlife experience, along with my passion and determination to fight badger crime helps you feel confident to contact me should you suspect someone is involved in the illegal persecution of badgers. Our strict confidentiality protocols and high security email system means that your identity, should you choose to reveal it, will be kept absolutely safe, and any perceived risks managed. We have the means and expertise to investigate your leads, we just need you to be our eyes and ears.